People write me continually and ask, how fast is the internet, they want to know what the transfer speed is, or I guess the MBPS, I think this is Megabytes per second. I do not like Acronyms sort of like talking in codes, nobody understands. THE BIG … Not a lie - The big, BAD information. Eureka, I have found it, the pivotal or essential questions all these children should be asking, and not this MBPS question. I keep telling them MBPS is not important and they never stop asking, they remind me of children. This graphic below means almost nothing, it is only a guide, I continually ignore! Look a graphic below, and and when you are tempted to ask someone in another country how fast is your internet stop and think. 11.0 MBPS is CRAP, not true, the big lie, there is an amazing the number of ways this show a big number and is not what you think or is not true. The correct question to you need to ask for speed is this? Can you talk on Skype.com? I really hate to give a plug for the VOIP, or Voice over IP, or I think internet protocol. Gmail.com with talk works also, and so does Yahoo Messenger voice over IP, although the only one I have used to make a call home with in the world recently is Skype.com. 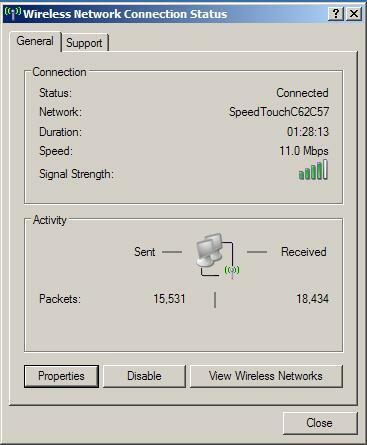 The speed rating above in an internet café or on GPRS is of no value, if you really travel and are required to use any and all forms of internet access, then you will learn this. What is important to know is what you CAN do. What benefits of the internet are possible. I normally go to an internet café or cyber café her in Africa the moment they open in the morning, this is the fastest speed possible, after that it continues to get slower until about 7-8 PM at night you have the slowest speeds possible. The little 11.0 Mbps will say this all day, and continue to say this, and you will have such a slow connection you will feel like you are paying to sit in a chair. It is not really important to know all the reasons why, maybe you understand and maybe you do not, but the bottom line is the speed above is of little value. They internet café will have 50 people sharing one connection, I do not know, but at night, everyone used their cell phone and my internet speed drops to nothing. I suppose there is a speed rating for an INTERNET CONNECTION, this changes for every connection, every computer, every way of connecting on the planet. How fast is your connection? 1. No skype.com, too slow to connect to Skype.com, there is no way to connect, it will not connect. 2. Skype.com randomly or often connects and chat is available. 3. Skype.com telephone talking works, but only between midnight and seven in the morning. 4. Skype.com works all the time except between 7 and 11 at night. 5. Skype..com works 24 hours per day. Using my GPRS Togocel.tg internet connection, Gmail.com will not connect here in Togo randomly, while Yahoo Messenger will always connect, Skype.com is random and only for chat.